At the end of 2012, the Maxwell Centre identified an opportunity to develop a community green space. 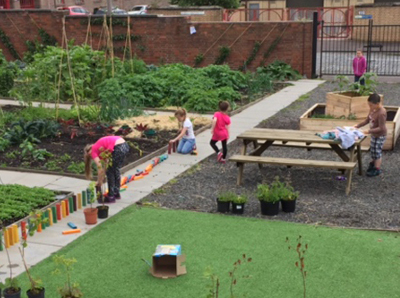 We transformed the builders’ yard behind our building from a vacant and derelict lot into a community garden, with an array of raised beds, allotments, a polytunnel, orchard, seating areas, and a building used for education and garden therapy activities. The garden provides access to growing facilities in an area of the city where access to green spaces is limited. 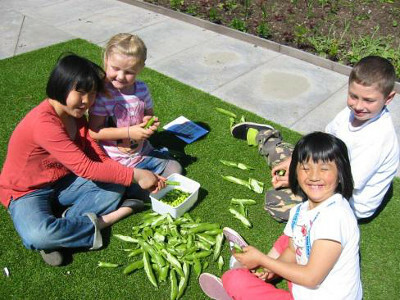 Many of the children who visit the centre for regular workshops have little access to gardens, the Maxwell Information Centre provides children with educational opportunities relating to food production, healthy living, the environment, and ecology. 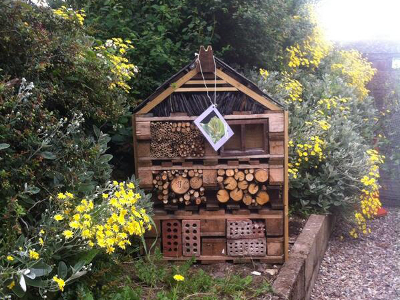 The development of the garden has led to a large increase in visitor numbers. Many of the groups which meet in the centre use the garden to produce fresh fruit and vegetables, and as a way to socialise and relax. Fresh produce from the garden is used to make healthy soup which is regularly made available to centre visitors.